Definition at line 382 of file control.c. Referenced by IoSetIoCompletion(), TestObjectTypes(), and WdmAudReadWrite(). Definition at line 118 of file control.c. Definition at line 82 of file control.c. Definition at line 44 of file control.c. Definition at line 18 of file control.c. Definition at line 302 of file control.c. Definition at line 180 of file control.c. Definition at line 222 of file control.c. Definition at line 149 of file control.c. Definition at line 436 of file control.c. Definition at line 270 of file control.c. 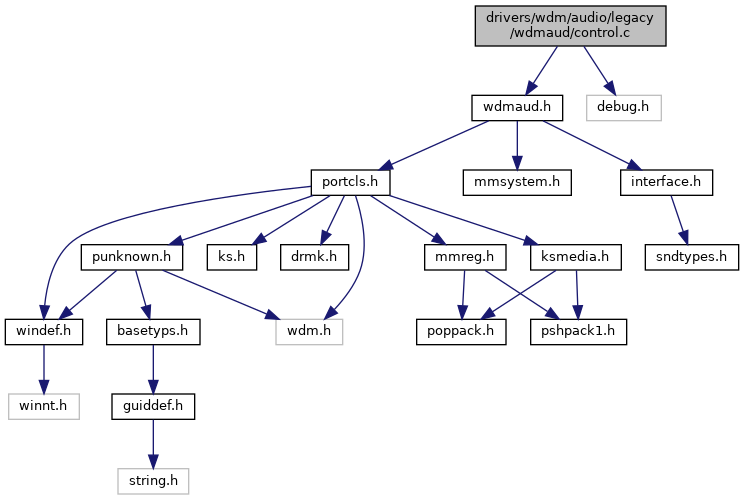 Referenced by PopulateWdmDeviceList(), and WdmAudDeviceControl().